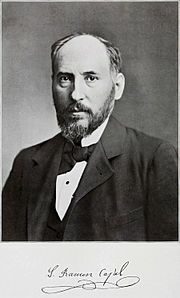 Santiago Ramon y Cajal. From wikipedia. If you want to get a neuroscientist excited, try mentioning Santiago Ramón y Cajal (Cajal is pronounced ca-HALL). 1. He came up with the neuron doctrine. The neuron doctrine is the idea that the brain is made up of millions of distinct units called neurons. It also says that neurons are cells. But the really important part is that neurons are not continuous - in other words, every neuron is separate from every other neuron. 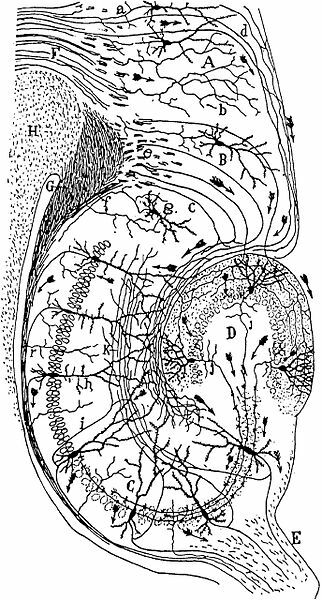 While Cajal was coming up with the neuron doctrine, another scientist named Camillo Golgi had a different idea. He thought the brain was one continuous mesh, with no gaps or breaks. 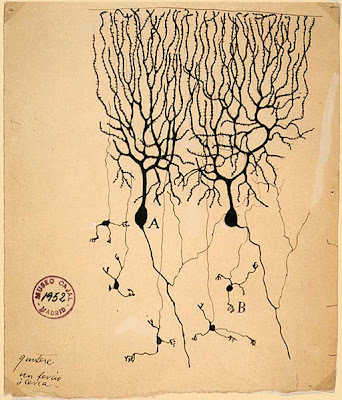 Cajal disagreed. He said the brain wasn't continuous. He thought there had to be breaks between the neurons. These breaks would allow for the neurons to communicate, and for neural signals to be modified or changed if necessary. 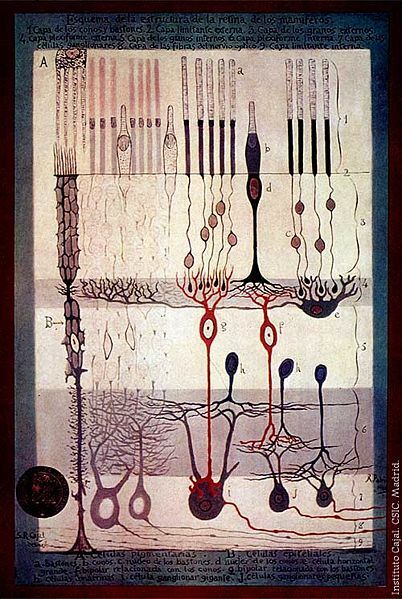 Cajal was right. The breaks are what we now call synapses. Classic synapses communicate using chemical messages called neurotransmitters. But there are some electrical synapses, called gap junctions. These are kind of like the continuous mesh that Golgi thought up. They're rare, but it's a little vindication for Golgi. Just a little. The neuron doctrine is still right ~99%+ of the time. 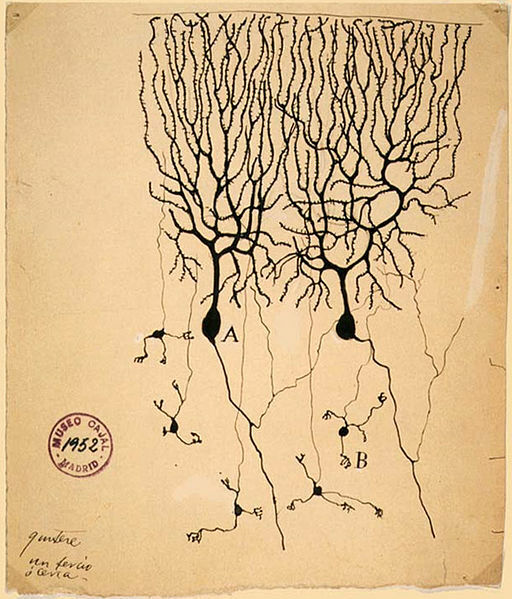 Both Cajal and Golgi got the Nobel Prize in Physiology or Medicine in 1906. This despite the two of them hating each other. They were both convinced the other was wrong and a fool. Apparently it caused quite the kerfluffle. 2. His drawings are GORGEOUS. Purkinje neurons in the cerebellum. The cerebellum is involved in muscle movement and muscle memory. The hippocampus, which is a brain area important for learning and memory. The retina, which is the layer of neurons at the back of the eye. Santiago Ramón y Cajal is so important to science history that he has his very own asteroid. In 2005, a man named Juan Lacruz discovered an asteroid and named it 117413 Ramonycajal. 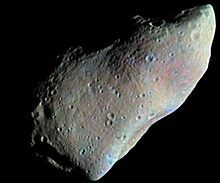 I couldn't find a picture of that asteroid, so here's a different one, just for fun. Beware the asteroids of neuroscience! BRAIN MYTH-BUSTING: Nice pheromones. Wanna date?